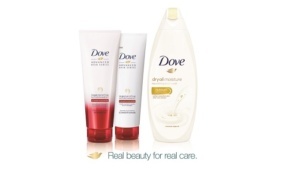 Make your showers more enjoyable with Dove Dry Oil Moisture Nourishing Body Wash, Dove Regenerative Nourishment Shampoo and Dove Regenerative Nourishment Conditioner. You can now get these free Dove Samples at Rite Aid to give both your hair and skin the ultimate hydration and regeneration. Available for Rite Aid customers only, simply fill out the form and enter your Wellness+Plenti card number to request your free samples, or sign up now. If you don’t currently have a Wellness+ Plenti card, sign up for a free card here.